Paco Rabanne 1 Million debuted last August in Europe, but it's never "officially" launched in the U.S. (though it can be purchased at online discounters here). 1 Million was developed by perfumers Christophe Raynaud, Olivier Pescheux and Michel Girard, and it contains grapefruit, blood orange, peppermint, rose, cinnamon, "spice," blond leather, white woods, amberketal (synthetic ambergris) and patchouli. It's difficult to review 1 Million because the fragrance is so well blended. Imagine painting precise squares of color (cool purple, faded pink, creamy green and sunny yellow) side by side onto a white canvas using acrylic pigments, then taking a wet brush and running it thru the middle of all the squares — blurring all the colors with one strong sweep of the brush. The resulting image of this rapid "mixing" is like 1 Million: gray (indistinct) in the center but with traces of residual color (individual notes) around the edges. 1 Million smells like "sugar and spice" with a touch of lavender-orange blossom and vanillic amber. It also smells like an upscale (slightly retro) barbershop, and it reminds me of Jean Paul Gaultier Le Mâle, Joop! Homme and Givenchy Pi. 1 Million is nicely done, but it's a clone of many men's fragrances that have been on the market for decades so let's use precious American retail perfume space for more interesting fragrances — like Omnia Granato. Italian jewelry company Omnia has issued six fragrances named after gemstones. So far, Granato (garnet) is the only perfume from the Omnia line I've tried, and I've been enjoying it for weeks. 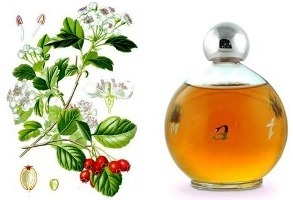 Granato (perfumer unknown) contains hawthorn, jasmine, lilac, rose, gardenia, geranium, orange, nutmeg, cardamom, cinnamon, white thyme, anise, cedar, patchouli, sandalwood, vetiver, vanilla and white musk. Granato starts off flowery, with 'abstract' non-indolic jasmine, a touch of rose, and a lingering — I can smell it into the dry-down — hawthorn note. (If you've never smelled hawthorn, now's the time to start looking for hawthorn trees to sniff; blossoming will begin shortly in most areas of North America and Europe.) Granato's floral notes turn slightly minty-menthol-y (geranium?) in mid-development, and as the perfume dries down, it becomes almost gourmand — with scents of tempered spices (nutmeg, cinnamon, anise) and toasted, not-too-sweet vanilla bean. Seemingly situated (and wafting) far away from the other notes is a "distant" patchouli-vetiver accord. Overall, Granato is a balmy, neo-gourmand scent (the floral-menthol notes keep it from becoming too "tasty") that can be worn by men or women in any season. Other perfumes in the Omnia line are: Ambra (amber), Cristallo di Rocca (rock crystal), Acquamarina (aquamarine), Onice (onyx) and Peridoto (peridot); please comment if you've tried any of these. Paco Rabanne 1 Million is available in 50 and 100 ml Eau de Toilette (£32/£63 in the U.K.; prices vary at online U.S. discounters). Omnia Granato is available in 125 ml Eau de Parfum for $135. For buying information, see the listing for Omnia Gioielli under Perfume Houses. Note: Image of hawthorn (Crataegus laevigata, Rosaceae) used for Omnia Granato is via Wikimedia Commons from the book Flora von Deutschland, Österreich und der Schweiz by Prof. Dr. Otto Wilhelm Thomé (1885). I have tried Granato and Onice. I did not like Onice. It smelled like celery on me. However, Granato was quite nice. I don’t think I would purchase a bottle, but it is definitely worth a sniff. There is another one in the line, too, Madera. It smells like a rich caramel and is very gourmand and sweet, but in a nice way. I don’t think Luckyscent carries the peridot, rock crystal or aquamarine ones. That’s too bad, because I would love to test those, too. violetnoir: I’d like to try the amber one too (I think March at PP liked that one). gah, I gave my Omnia samples away, I think. They were nice but none of them was a must-have, and the gourmand one was waaaaaay too caramel sweet on me, I can really kick that sweet up on my skin. But I think a lot of people who like gourmands liked it. Kevin, both actually sound nice, but especially the Granato. I got confused about the line when you mentioned the gemstone theme — I remember the Madera one, which I really want to try (caramel sounded good). I’m not sure if that one refers to the Portuguese wine (madeira) or the Spanish word for wood. Granato sounds like it might be better in cool weather, but you’d say it’s seasonless? I might need a sample. I’ve mentioned 1 Million a few times in the past week, did you post that Matt Gordon picture just for me?? Maybe I’ll just keep watching the commercial instead of actually smelling it. krok: if you haven’t already, go to the 1 Million website and watch your crush move about in the film spots! omg screen saver coming soon. so it says a fresh spicy leather fragrance. I should stick to Cuir Ottoman for my leather, right? doesn’t opoponax have a sweet, kind of barbershoppy smell? I’ve never been to a barbershop and I’m not 100% sure I know what opoponax smells like, so I could be way off. They could have used opoponax and leather and like cinnamon or something. Maybe. idk. K: I don’t find1 Million leathery AT ALL. Go elsewhere for leather. Opoponax can smell “barbershop-y” — herbal or evergreen…resinous. Cuir Ottoman is very nice. what I thought was opoponax in Opium, Eau Lente, Or Des Indes, and Imperial Opoponax probably really is opoponax. hi there, ive actually smelt 1 million coz my friend uses it and blive me its worth the hype. to me it kind of smells a tad bit like a cross btwn intense (issey miyaki) and ultraviolet man. and the best part is u can wash your sweatshirt like twice n the scent will still be ther. but if u dnt like strong scents i guess u might not like it much coz when u wearin it and u just enter the room er1 will probably know. I really wanted to like 1 Million but the peppermint and rose (I suspect) turns screeching on my skin. Eminere: a disappointment for me too..
My wife purchased this for me as a gift and I have to say unfortunately it is one of the least appealing scents I’ve had (1 Million). To me it’s incredibly synthetic smelling, grating and headache inducing. I don’t know what it is with me and Paco Rabanne scents but I find them all so ‘fake’ smelling – like really really cheap deoderant. If I bought a fragrance for my hubby and he hated it, I’d sure want him to tell me. Then I’d put it up for sale at scentsplits. I don’t know how your wife is, but I’d rather find out sooner than later. then I’d make him try a bunch of samples…oh wait, I already do that! Ross: childlike, off my rocker, prone to rash decisions…c’est moi! Rossm: for every spray that hits your body make sure three go into the “air”…maybe your wife will end up being annoyed by a 1 Million-smelling bathroom or bedroom? HA! and you’d have to get the carpets cleaned! Cherry: you know, I don’t wear many, any?, really sweet fragrances. You might want to check out the Serge Lutens line…there’s Alamut from LV (reviewed on this site by Angela). Maybe some others will pop in wit suggestions. 1 Million is nothing special. I’d hoped for allot better one..
Giustino: the NAME itself leads us to believe it’s special…but so many names do, don’t they? That’s definently true.. The bottled looks pretty unique.. like a goldbar.. though, the juice wasn’t anything of the quality gold has. I really think the commercial for 1 Million is a sexistic one and I really really dislike it! I would not touch the perfume just because of that. So there is more than one reason to keep away from it (considering boring, synthetic etc.). the part with the woman really annoys me. Like her dress falls down when he snaps his fingers? But I like the rest of the commercial. mybeautyblog: yeah, the ad doesn’t do much for me…snapping fingers and all! But the fragrance itself is not bad at all: decent mix of bubblegum, leather and roses for me. My theory is that a lot of people don’t like it out of snobbery: the flask is pretty tacky, blingy and vulgar, and it does seem to be popular among the reverse-baseball cap brigade. Worth a try, though! Omnia Granato sounds lovely to me….it certainly lists all the right notes to make me seek it out. I ‘m very curious about that hawthorn note….I have a lovely Crimson Hawthorn tree right next to my house and I’ve never noticed it having any scent at all! It is leafing out nicely and is covered with buds—in a week or so I’ll be out there sniffing it like mad! This may be a non-fragrant variety, I can’t imagine that it has “scent” and I’ve completely missed it for the last 9 years! Daisy: if you have a scented hawthorn you would SMELL it and HOW. It’s a love-it-or-hate-it aroma. As a child I thought ithe flowers smelled like ammonia (you know the implication!) but now I like the smell…punchy, a bit powdery…. Ammonia? well that doesn’t sound promising…but who is to say how my nose will interpret it? After all , your nose changed it’s opinion too. i live in the netherlands, already know this fragrance, and rly, you need to try this fragrance. I actually think this is one of the best latest fragrances for men! I would say, it’s a mixture of Dior Homme and Joop GO!. I just fell in love with the smell of leather x3. Where was I when Granato was released? Those notes sound great and it’s not in one of those godawful twisty, metallic-esque plastic, cartridge bottles like the others…the bottle’s actually cute. I will definitely seek this one out to try. Will it work in hot / humid Miami weather Kevin? Duh…I just realized that I was thinking of Bvlgari, when I saw Omnia. My bad. Mike: I think it will work fine in Miami…and the price for 100 ml ain’t bad considering it’s from Italy, the new home of exorbitantly priced niche lines! APassionateJourney: I doubt you’ll find it in a store…I believe amazon.com has it…Scentiments.com. You can probably get it at other discounters online…. DO buy a sample first if you’ve not smelled it! Ya hear? I got a free sample of 1 Million in an order from beautyencounter.com. It’s still unopened… TPG(Luca and Tania) said it smells like sweet apple and only gave it a rating of 2…I guess that is why I haven’t bothered opening it. I’ll gladly mail it to whomever wants it… just let me know. And I also have a sample of the Ambra by Omnia I got from luckyscent.com…and let me tell you…. it was a SCRUBBER for me! I gave it 45 minutes and couldn’t take it anymore. At first it was a screeching christmas-y thing like I was choking on a gingerbread house. Then it turned into a cinnamon, nutmeg, flea shampoo/powder thing I just couldn’t tolerate. My boyfriend could smell it across the entire flat from another room! I only used a touch too! I still have the remaining sample if you want to try it, Kevin, I can mail it to ya! Gladly!!! I have this fragrance, I spray it on my pillow and sheets sometimes it is a strong scent, and good. heavy and still fine. I love 1 Million and what really drives it for me is the lovely mint note – an ingredient that was novel in men’s fine fragrances when this scent first launched (and has been much copied since!!). 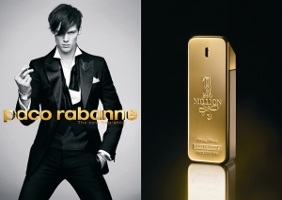 It is currently the #2 selling masculine fragrance in the world (after Acqua di Gio Pour Homme)!